I’ve been an advocate for online dating since its inception. I met my partner online two years ago and I knew that once my fellow boomers realized its potential they’d sign up in droves, and they did. Online dating is the number one choice for boomer daters, and introductions by friends, is a distant second. In fact one in four single boomers are dating online and best estimates are there are 30 million single boomers, which means that more than 7 million are seeking love online. The sheer number of people using online dating services has resulted in hundreds of dating websites to choose from, which can seem quite daunting. The safest options are the larger, more established sites that are well reviewed and highly ranked amongst users. Dating site like match.com and Senior People Meet boast the largest senior user base of any online dating service – which could make it a good place to begin your search. Boomers now have the dubious distinction of being the largest divorce demographic. Many boomers were married for twenty-five years or more and now their children are grown and out of the house and they’re looking at each other with a more critical eye. Clearly, for a substantial number of married boomers this has become a wake-up call to find a partner more in synch with who they’ve become. Boomer dating newbies typically turn to friends to introduce them to their single boomer friends, but those choices are typically limited. And the odds are heavily against two strangers who know nothing about each other meeting and falling in love. And friends’ numbers of single friends is usually small so few introductions are made. Boomers have to find love on their own, and online dating allows them to know enough about someone in advance to determine if there’s a reasonable hope for a match. Some boomers insist they’re unwilling to endure the rigors of online dating and that they’ll just wait to bump into the love of their life at the supermarket instead. First, that isn’t ever going to happen when you consider that bumping into your life partner means that all the stars in the universe have to line up perfectly, which only happens in movies. Second, waiting to bump into the love of your life is a fantasy, which is never a realistic plan for success in any endeavor. A frequently used expression when the computer age began still holds true for online dating today. Lackluster input yields lackluster results. I go onto senior dating sites with my date coaching clients frequently, and what I notice all too often are boomer profiles that are incomplete, poorly written, or vague enough to be worthless. It’s worth it to write a stellar profile. And even worse is the number of people posting profiles without photos even though every senior dating site warns its members that profiles lacking photos are rarely viewed. In fact most daters check the box that deletes these profiles from their search automatically. 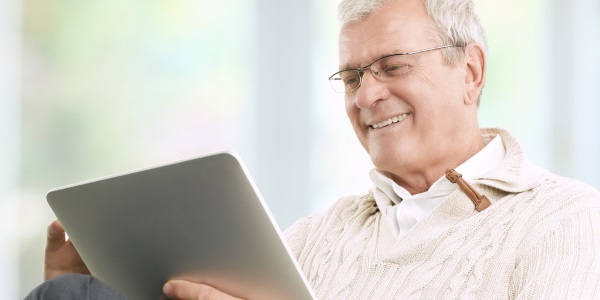 In many cases, online dating services for the senior community are specifically designed to be simple and easy to use, without any complicated “frills” or clutter – so those who are shy of technology should be able to navigate the system without problems. Newly single boomers have to do some soul-searching to date successfully online because dating today doesn’t vaguely resemble dating in the 60s or 70s, the last time many recently divorced boomers dated. A fair number of boomers have done some personal growth work over the years and have developed useful interpersonal skills. The lesson they all gleaned was that successful relationships require emotional intelligence. Consequently, boomers who took this lesson to heart are the hottest boomer dates today. Dating successfully online, which I consider meeting a life partner, requires a concerted effort just like everything else worthwhile in life. And boomers who date online have to be willing to share themselves on a deeper personal level than many have before. It may take some practice to get comfortable in this arena, but as boomer Billy Crystal says, “It’s a process." My life changed in so many wonderful ways since meeting my partner online, but the search wore me out at times. When online dating feels like drudgery take a break for a while until you’re feeling positive about it again. Remember that the ultimate joy of online dating isn’t in the process. It’s in the results. 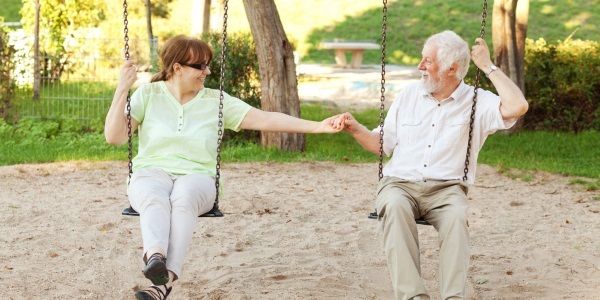 I urge reluctant boomers who haven’t tried online dating or who gave up in frustration go online and check out how senior dating websites have evolved. They’re user friendly, which means you don’t have to be a computer whiz. And while it’s a good idea to call your adult children to keep in touch, you won’t be calling for computer help. My advice is to just give it a shot and see where it takes you. Bumping into the love of your life in the supermarket? Get real as we said in the 60s. Was this a major reality check for your online dating habits? There’s more from where this comes from. Check out Ken’s advice on securing a second date.